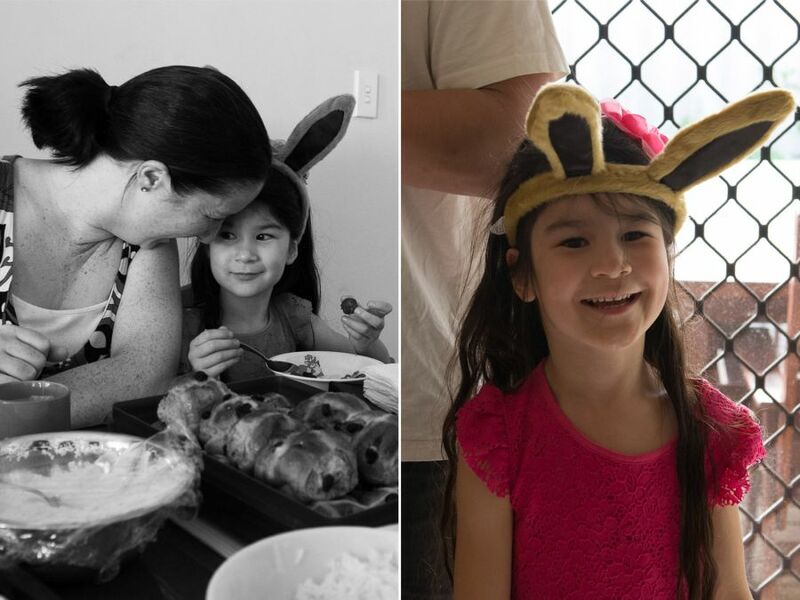 On the Easter long weekend, my family got together for afternoon tea. As usual, everyone brought a dish to share. 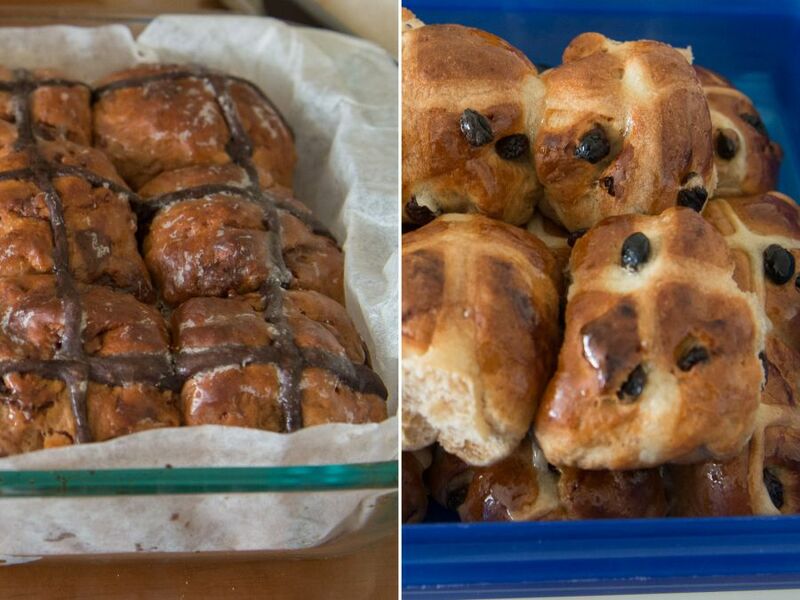 We had two kinds of hot cross buns, chocolate ones baked by my sister Juji and more traditional fruity ones baked by my sister-in-law Angela. Juji baked scones too, which she served with cream and strawberry jam. 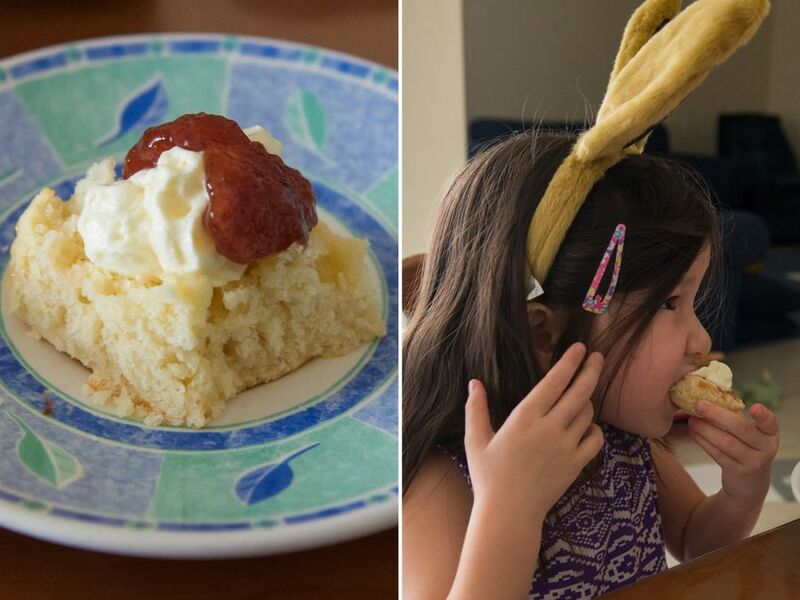 My niece Zoe volunteered to take the first bite. 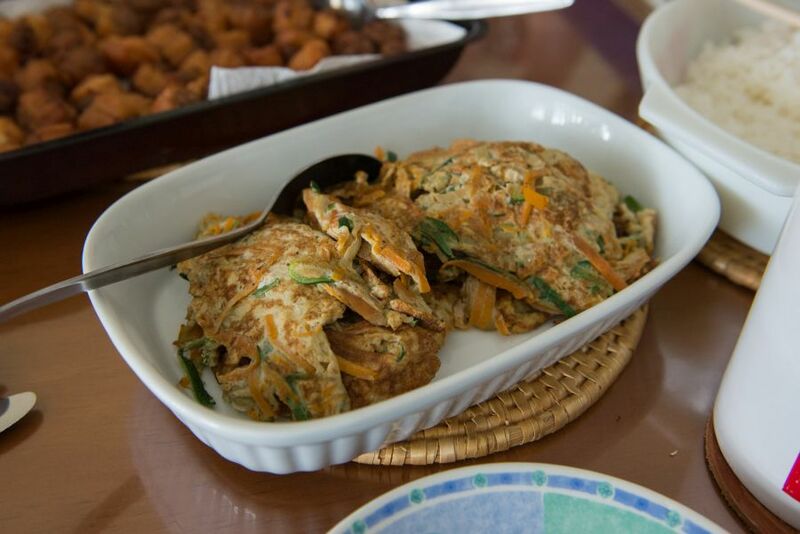 Mum cooked up rice and Chinese vegetable omelette, which I couldn’t stop eating (and it was right in front of me at the table, so how could I resist?). 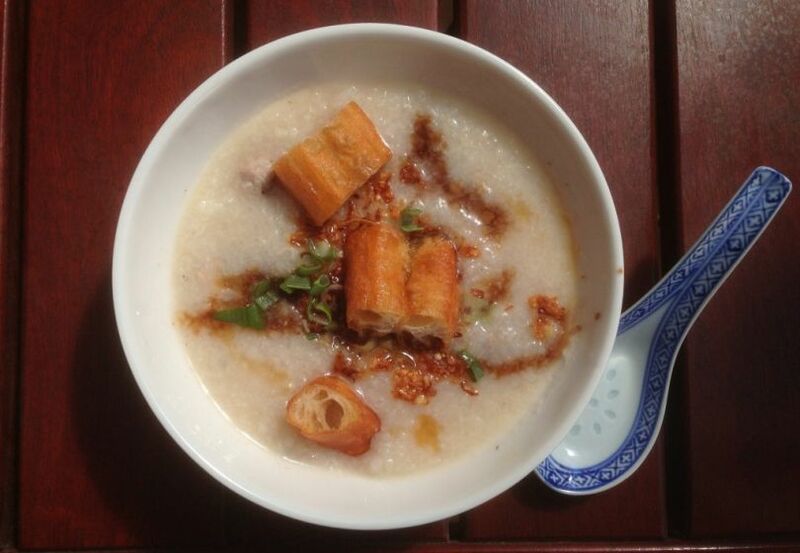 You’re probably more used to seeing Chinese crullers (yu char kwai) served like this, in rice porridge – the photo below is from a previous family brunch, not this afternoon tea. For Easter afternoon tea, my mum made Chinese cruller meatballs. 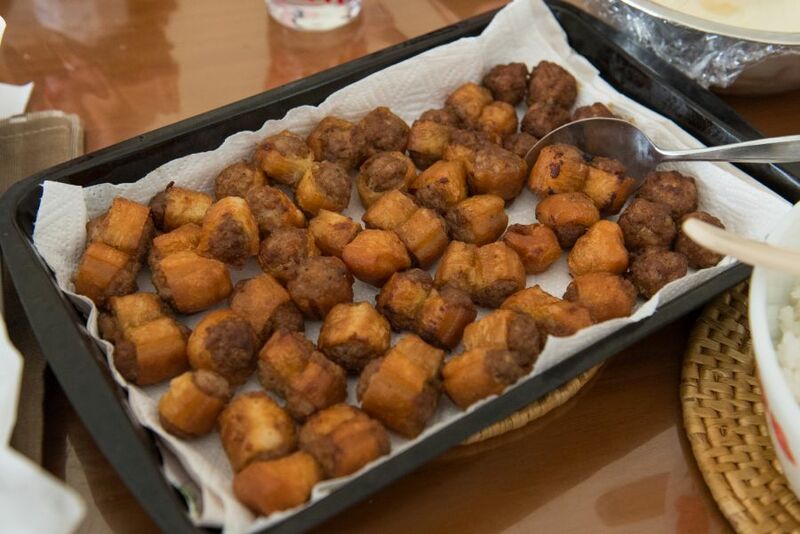 She chopped up the crullers into bite-sized chunks and filled them with seasoned pork mince, frying them again to make a delicious treat. These little things are dangerously moreish. If left alone with them I’m sure I could eat an obscene number. Jac made pork and hoisin vegetable wantan cups. She got the idea from her cousin H who made avocado and cherry tomato salsa wantan cups for a party. Everything can be prepared in advance and assembled just before serving. Spray mini muffin tin with non-stick spray (we use an olive oil spray). Place wantan wrappers in the muffin holes – Jac used only every second muffin hole in the tray to avoid wrappers touching and possibly sticking together. Bake for 12-15 minutes at 200C until crisp and golden-brown. Experiment with your own oven for what will work best. Allow to cool completely; store in an airtight container. These should be made ahead of time so that you have them ready to use. Jac cooked the pork and vegetables separately. She marinated the pork using my mum’s Hokkien mee meat marinade: 1 teaspoon cornflour, a dash of pepper, 1/2 teaspoon light soy sauce and 1 teaspoon oyster sauce. She used a food processor to julienne carrot, Chinese radish and celery (she peeled the celery first so it wouldn’t be too stringy) – you can use whatever veg you like). She then stir-fried the vegetables in hoisin and soy sauce to taste. 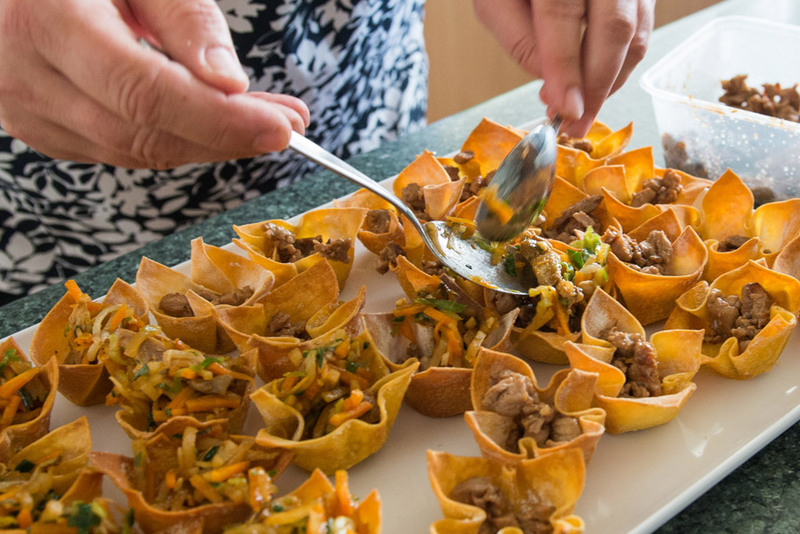 Unless you’re assembling and serving the wantan cups right away, allow the filling to cool completely. Jac brought all the components (wantan cups, pork, vegetables) in separate containers to my mum’s home. Before assembling, she zapped the pork and vegetables in the microwave, then spooned in pork followed by vegetables into each cup. 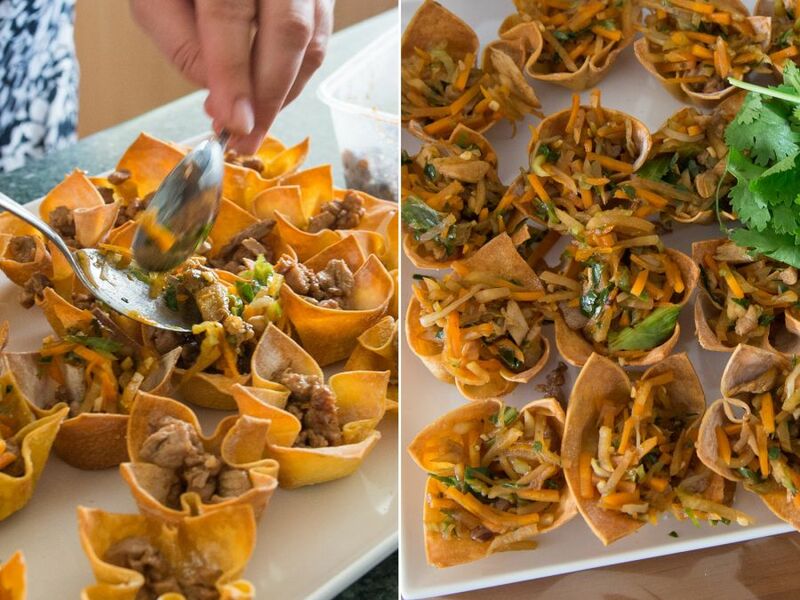 You can fill wantan cups with anything you like to create sweet or savoury, hot or cold items. You could, for example, fill them with scrambled egg and top them with bacon bits or smoked salmon and capers for a brunch party. I’d love some filled with with goats cheese and sweet caramelised onions, or Juji’s pulled pork with her homemade barbecue sauce. 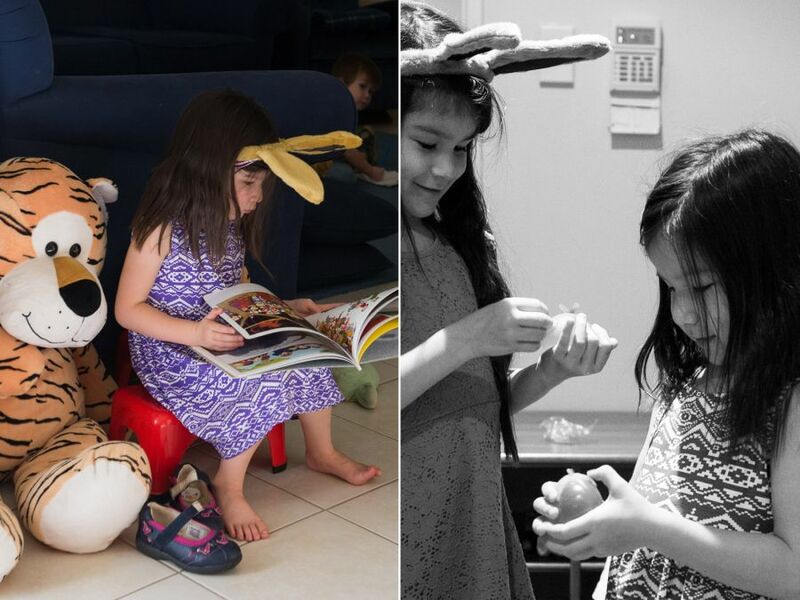 Back to our afternoon tea – the girls enjoyed wearing Easter bunny ears more than Caleb did (the bunny ears stayed on his head for a grand total of 30 seconds), but as you can probably tell, a fun time was had by all. 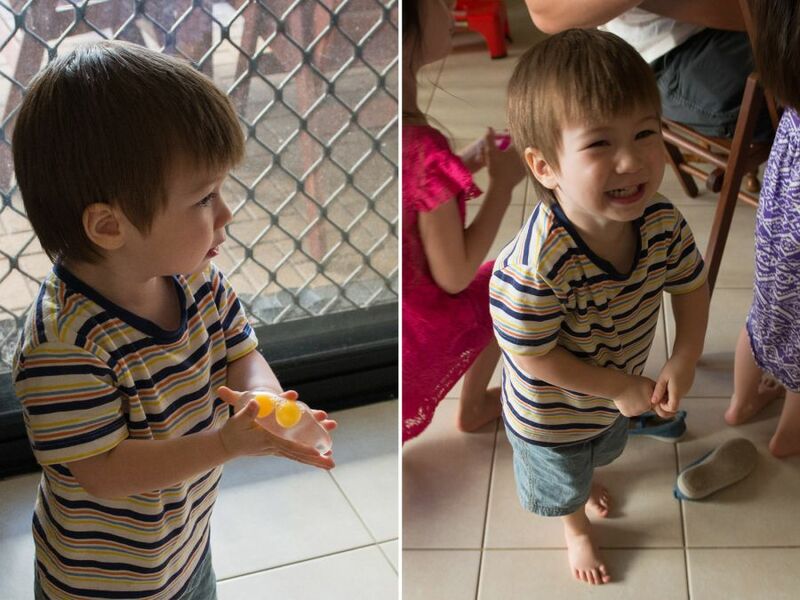 My mum gave the kids squishy ‘splat balls’ which had them squealing with delight as they threw them onto the floor and against the wall, watching them go ‘splat’ on impact before springing back into shape. Ruby’s was a pink bird, Zoe’s a purple piggy and Caleb’s looked like a double-yolked egg. 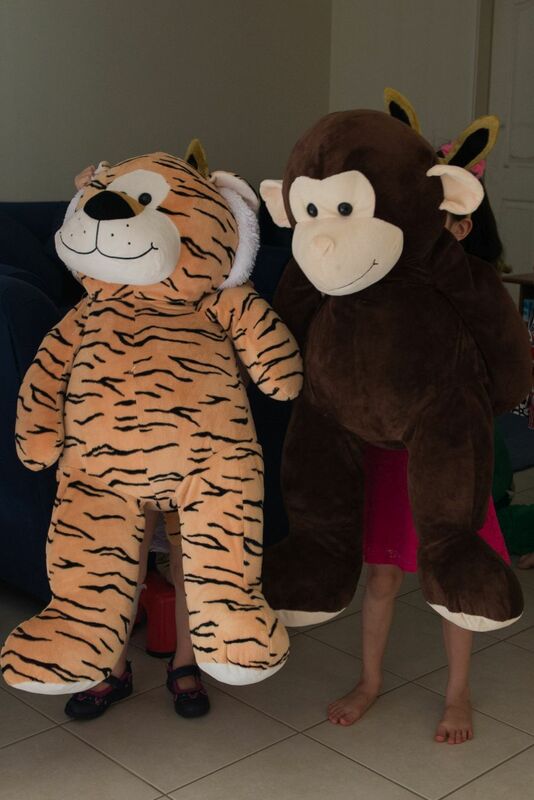 Big Millie the tiger and Big Murray the monkey turned up for afternoon tea too – Big Murray greeted everyone warmly with a deep “Hello” but for reasons unknown, Big Millie couldn’t stop giggling!